With over 30 years of experience in real estate, Terry Keegan has been a leader in the industry from the very beginning. Born and raised in Fairfield, Terry is a graduate of Providence College and resides in Fairfield with his wife and three children. Visit my website at www.terrykeegan.listingbook.com. With thirty-one years of experience in real estate, Pat is not a novice when it comes to selling in the Fairfield County area. Expertise and maturity truly do count in real estate and that’s why you list your home with Pat. Her insight into the area and years of working with all kinds of buyers and sellers enhance her ability to develop enjoyable and successful client/agent relationships. Pat believes that it is important to provide each client with maximum effort whether the client is buying a home or selling a condominium. And, she does so courteously and reliably. The end result…effective service! As a life-long resident of Fairfield, Pat has an abundance of information about the town and about Fairfield County. She raised her children here, she knows the school system and she knows what the community has to offer. Whether it’s hiking, boating or walking the trails at Connecticut Audubon, Pat has a wealth of knowledge about Fairfield County. 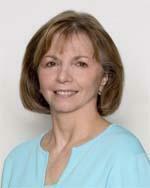 Pat is also a member of the Greater Fairfield Board of Realtors and Consolidated Multiple Listing Service. Although Pat has the talent and the ability to sell all types of real estate, her true specialty is residential homes and condominiums.